Good morning everyone. The AT20 giveaway series is nearly at an end. 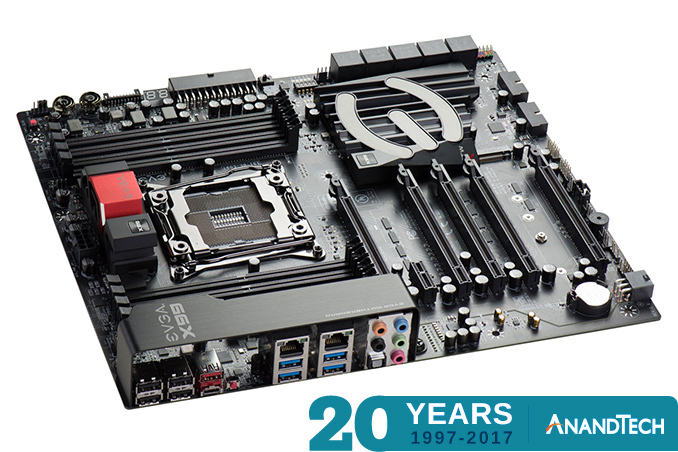 With today being day 19 of our 20 day giveaway celebration of AnandTech’s 20th anniversary, that means we only have 3 giveaways left! So let’s get down to business. For this morning’s giveaways, we have a pair of prizes from the always-excellent EVGA. The company is admittedly known best for their NVIDIA video cards, but for a number of years now the company has bene offering other products as part of a general effort to broaden their market, and those efforts are increasingly gaining traction. So for today’s giveaway we have an EVGA X99 FTW K motherboard, along with their SuperNOVA 850W G3 power supply. Leading the pack of today’s prizes is EVGA’s X99 FTW K motherboard. 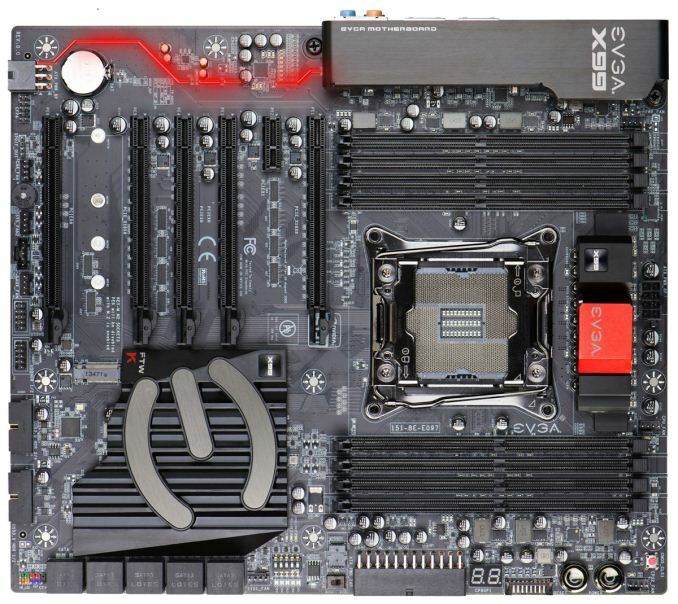 The hefty E-ATX LGA 2011-3 board sports a whopping 5 CPU-fed PCIe x16 slots, a lone PCIe x1 slot, and a single full-feature M.2 slot. In terms of third party controllers, we’re looking at a Realtek ALC 1150 for audio, and an Intel i218-V and an E2400 for dual GigE LAN functionality, and an ASMedia ASM1142 for a pair of USB 3.1 (Gen 2) ports. Meanwhile in terms of construction, the overclocking-centric board uses an 8 phase power delivery system for the CPU, an 8 layer PCB, and an on-board CPU temperature monitor. On the software side of matters, it features EVGA’s feature-packed UEFI firmware, along with dual BIOS support thanks to a selector switch. 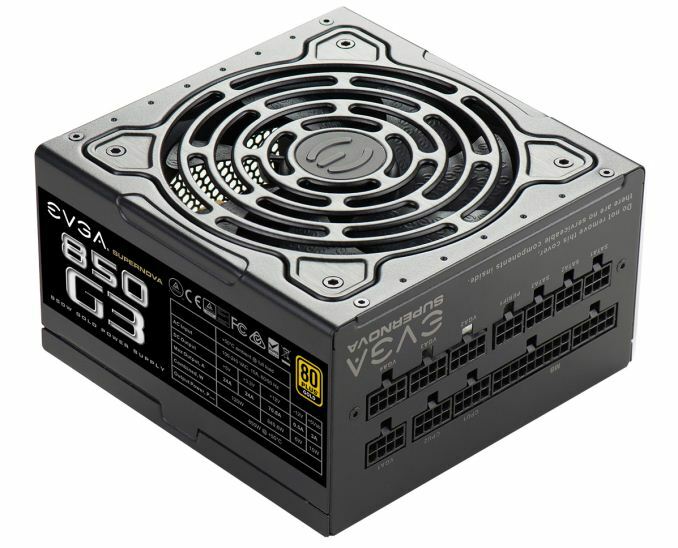 Our second prize of the day is EVGA’s SuperNOVA 850 G3 power supply. This 850W PSU is fully modular, offering a sizable selection of ports and cables to work with. From a power delivery standpoint is can deliver 850W over its sole 12v rail, reaching 80Plus Gold levels of efficiency. Finally, cooling is provided by a hydraulic dynamic bearing 130mm fan, which offers support for EVGA’s “Eco Mode” technology for fanless operation when temperatures allow.